Discussion in 'Automobilista - Help & Support' started by DomB_Fanatec, Jun 13, 2018. My name is Dom, and I’m the new Community Manager for Fanatec. I've been introducing myself in various sim racing forums over the past few weeks so some of you may have already seen a similar message! The short version is that I'm here to respond to Fanatec-related discussions. The support system on our site should always be the first port of call if you have a technical enquiry, but I will keep an eye on the Reiza forums and help in any way I can. BMW V2 won't detect, any ideas? Tried most. I don't want to make a bunch of suggestions that you've already tried, but I assume you are talking about the ClubSport Steering Wheel BMW GT2, that is no longer being detected by a wheelbase? Your description definitely needs more detail, such as exactly what products you have, what solutions you have tried, and what exactly is the behaviour. In any case, I recommend that you contact our technical support team. Our Live Chat feature is available every day, including weekends. You should be able to reach one of the team between 8:00 and 20:45 on weekdays, and 13:00 to 22:45 on weekends (UTC+2). I'd recommend that you record a short video of the behaviour too, as the support team will probably ask for one. I won't be doing that. It's only on AutoMobilista as Dirt Rally, Project Cars 2 and AssettoCorsa all work perfectly. 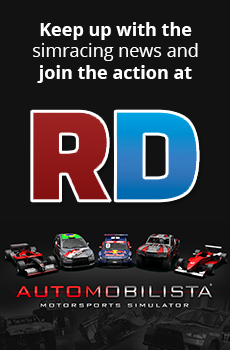 I have a full motion sim setup etc...I'm not going down that road(pun) Something has changed with AutoMobilista as it was working fine a month or so ago. ***Found the issue, only allows 6 USB inputs. I had to remove one and my wheel showed. Reiza need to increase how many USB's that you can have.